Please inspect thoroughly prior to signing the carrier bill of lading. · Is the product clean and dry? 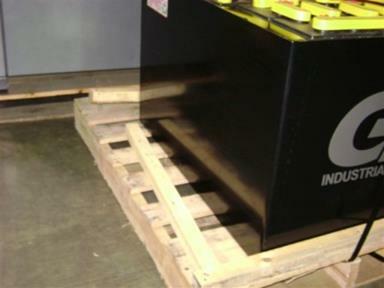 · Are the pallet, steel banding and stretch wrap intact? · Is the top covering undamaged and free of punctures? · Is the battery free of any scratches, abrasions or rub marks? · The perimeter of the battery should be anchored to prevent movement in transit. · Save and review the enclosed operating instructions before use. · Are the cables free of cuts, punctures, pinches or abrasions? 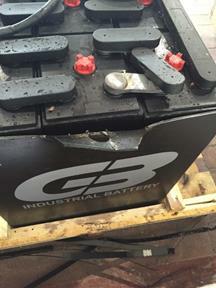 · All batteries are labeled “Fragile” and “Do Not Stack”. · If you notice any signs of stacking, spillage or carrier damage please contact us immediately and note it on the bill of lading prior to signing. Is the pallet and box intact? Always remove the box(s) to inspect before the carrier leaves. Is the case free of any scratches, dents, abrasions or rub marks? Are the cables free of cuts, punctures, pinches or abrasions? Always examine the cables before the carrier leaves. Is the box intact, edges and corners square, free of damage or crushing? Is the box quiet when moved or shaken? 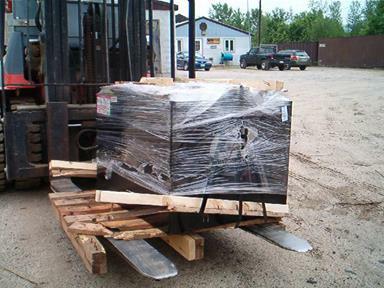 All parts should be tightly wrapped in bubble wrap and or Styrofoam to prevent movement. Are there any indications the product was dropped or fell during transit? Is there any indication something heavy was loaded on top of the product at any point? Did you have to unload other product from on top of your product during delivery? Is there any “fork damage” caused by pushing the product rather than lifting it? Is there any indication the product was mishandled in any way by the transport company? We make every effort to ensure your product is palletized and packed in ways that prevent damage and spillage under normal transport conditions. 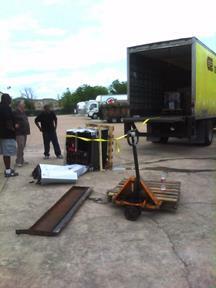 We also insure the shipments against loss or damage. It is extremely rare, but there are occasions when no preventative measures on our part can prevent carrier damage. If the damage is noticeable, the carrier will typically return the product to the point of origin for evaluation and replacement. You would be notified of the delay, and replacement product would be shipped to complete the order. However, if the damage is concealed, not noticeable, or not reported, the product could be delivered to you in a condition that is less than acceptable. In those instances, we ask that you either detail the damage on the carrier’s bill of lading when you sign it, or simply refuse the delivery entirely. If you choose to refuse the product, please contact us with the details immediately so that we can contact the carrier and determine the best course of action, and make arrangements to ship replacement product. If you choose to receive the product, contact us immediately with a description of the damage. 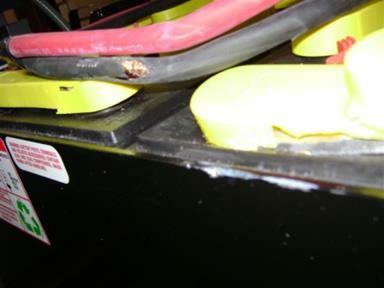 We will have it inspected and repair or replace the product. If you received the product and did not notice the damage until after the carrier left, contact us immediately so that we can have the product evaluated by our local service office and determine the best course of action. We ship thousands of products each year, and choose our carriers carefully. We also rely on customer input to some degree as to the quality of their service. 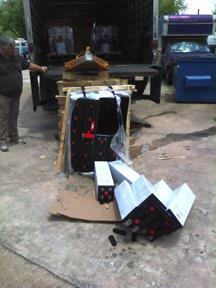 If your product arrives intact but shows signs of rough handling, we would like to know. It may be an anomaly, or the sign of a trend. Please do no hesitate to contact us. Proudly Serving the following regions, states and territories: AL, AK, AR, AZ, CA, Canada, CO, CT, ND, DE, DC, FL, GU, GA, HI, IL, IN, IA, KS, KY, LA, ME, MD, MA, MI, MN, MT, NV, NJ, NY, NYC, NM, ND, NC, OH, OK, PA, PR, RI, SC, TN, TX, UT, VA, VI, VT, WA, WV, WI, and WY. 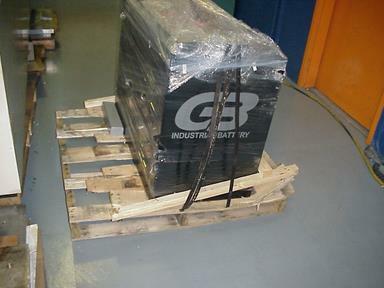 BRANDS WE SERVICE: Battery Builders, Battery Handling Systems, BBI, BHS, Bulldog, CEN, Chloride, Crown, Deka, Douglas, East Penn, Enersys, Exide, Load, Smart, Desert, Hog, tubular, Ferro magnetics, General, GNB, Flooded, EV, Champion, Technologies, Gould, Hawker, Hertner, Hobart, KW, Lamarche, La Marche, National, North East, Northeast, Power Flow, Yuasa, Mac, Watermaster, Beal, Batteries for Industry, BFI, Jamaica Queens, Electro Rep, Xtra Power, metro battery, JG Power, Hi-Tech Systems Inc., Hi Tech, Batteries Inc., Dynamic, Eastern Lift, acforklifts.com, AC Forklifts, Modern Handling, Modern Group. Voltages: 6 cell, 12 cell, 18 cell, 24 cell, 6v, 12v, 24v, 36v, 48v, volt, volts.